Don’t we all know that brush cleaning is such a chore especially when you have a lot of brushes. I found this nifty silicone brush cleaner on eBay. It can be 99p from eBay but that is shipped from Hong Kong and I don’t think I could wait that long therefore had found a UK seller (oh happy days). Before using this, I had used the palm of my hand to attempt to deep clean my brushes but it’s not really ideal as it dries my hands outs and I feel like it doesn’t clean my brushes properly. This is small and compact. It’s hollow and theres space inside to place your fingers in. Due to the silicone rubber material, there is enough grip. To use this, I add my Johnson’s baby shampoo onto the cleaner, wet the brush bristles then swirl the brushes onto the cleaner and rinse. It lathers up faster than using my palm. I use the small knobs at the top for smaller brushes and the horizontal ridges for larger brushes. The knobs and ridges gets into the nuts and crannies of the brushes and it looks like each bristle is thoroughly clean without any damages. It has definitely shortened my cleaning time and my brushes are deep cleaned. With this, you won’t need any special brush cleaner, just any cleaner, shampoo, body wash, hand soap etc would do the trick. This cleaner can stand by itself and can let any excess water drip out if there was any entered inside. I would highly recommend purchasing this. Inexpensive and does the job. Thank you eBay. Have you used this or anything similar before? Oh my god, I neeed this. I need to do my brushes tomorrow, I wish it would come for then! This sounds lovely, I hope they sell something similar in the UK too! This is such a good idea!! I have actually been using a soap and glory massage mitt to clean my brushes in the same way but when thats finished I'll definitely pick one of these up! 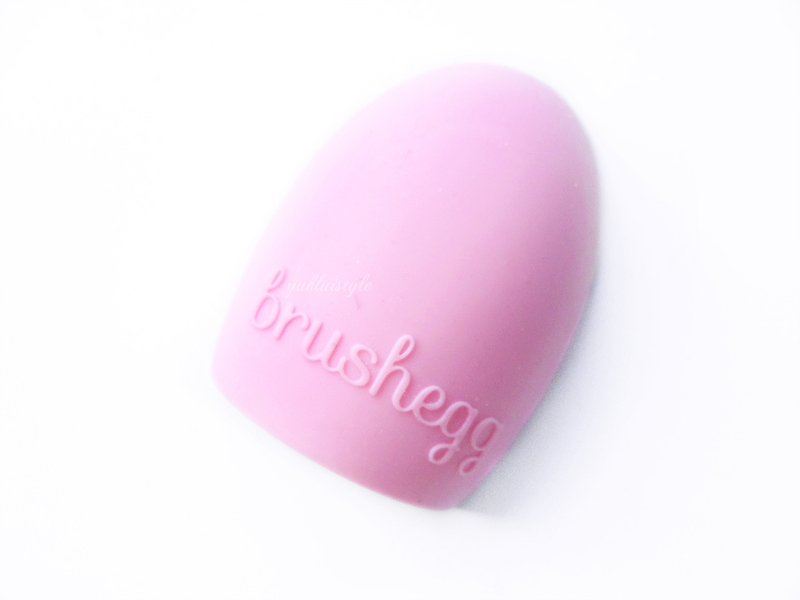 Cleaning makeup brushes is such a chore, definitely getting one of these! I-NEED-THIS. And it's so affordable! Wow! I had no idea that there are such cleaners on the market! Thanks a lot for sharing! Regards! Burroughs Carpet Cleaners Ltd. I have never heard of this! It looks so cute and I will definitely buy a few. Sounds like something helpful in a low price.